1 BASEBALL BAT DISPLAY CASE - HORIZONTAL/MAH/GREEN - FREE SHIPPING! 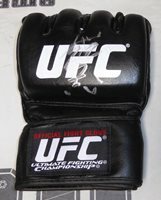 Vitor Belfort Signed Pride FC MMA Glove JSA CERT UFC Autograph! Clean!